Notes:The artist produces the deck in small editions while experimenting with different formats formats, such as a poker deck size, large version and limited, signed and numbered special editions printed professionally on 120lb Italian pearlescent quartz cardstock. I opted for the basic poker deck size. 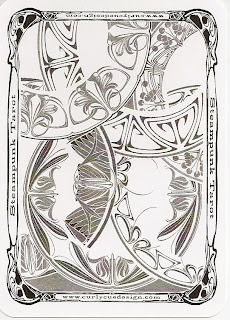 Traditional symbolism associated with the Tarot can be found in the cards . 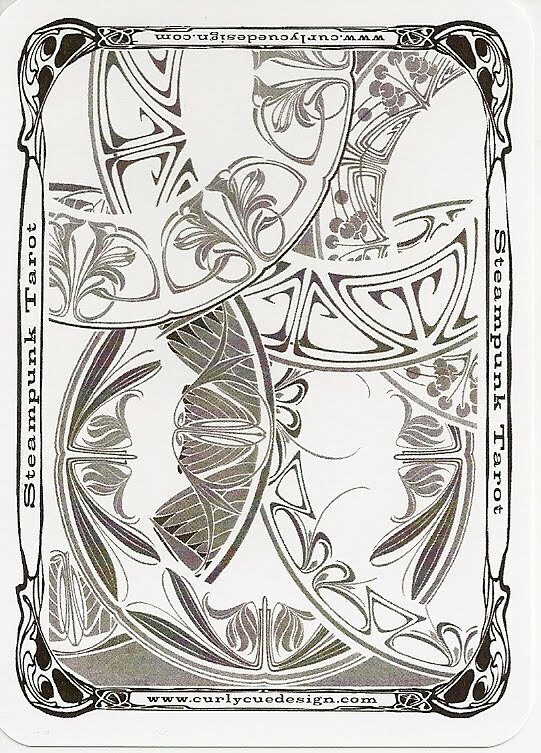 The cards have standard Tarot titles with Strength being card 8 and Justice card 11 (following the Waite-Smith model). The Major Arcana numbering system does not use Roman numerals. The 4 suits are the familiar wands, cups, swords and pentacles and the court cards are page, knight, queen and king.